GeoSolutions è un società operante nel settore della Information & Communication Technology (ICT) geospaziale con la missione di fornire servizi di supporto professionale e soluzioni customizzate innovative, robuste e cost-effective basate sulle migliori tecnologie Open Source. 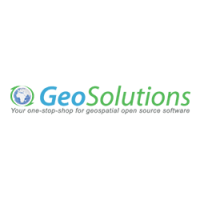 L’impegno di GeoSolutions per il software Open Source geospaziale va ben oltre il semplice ruolo di utilizzatore o di evangelizzatore/supporter, in quanto i nostri associati sono sviluppatori e/o leader in un vasto numero di progetti Open Source (GeoServer, GeoNetwork e GeoTools giusto per citarne alcuni). È comunque importante sottolineare come i nostri obiettivi primari siano la soddisfazione assoluta del cliente così come la possibilità di una trasparente integrazione ed interoperabilità con software COTS ed infrastrutture pre-esistenti. Gestione, processamento e disseminazione dati geospaziali. Realizzazione di geoportali ed infrastrutture complesse per la gestione dei dati geospaziali. The Crop Information Portal is a component of the Pakistan Agriculture Information System. Supports Crop Reporting Services in data and information dissemination on Pakistan’s major crops (wheat, maize, rice, cotton and sugarcane) and agro-meteorological conditions affecting crop growth. Crop Information Portal makes available to WEB users the historical archive and the latest produced crop and agro-meteorological data aggregated at district/province scale and integrated with satellite based information into a GIS like environment. It Allows advanced aggregation and filtering of the data on the combination of user defined spatial and temporal parameters, focusing on specific crops or environmental factors, which are stored into the system, to produce standard outputs such as summary tables, maps, charts and user defined reports. The users can check the risk contitions for the crops, inferring the agro-meteorological data with a database containing the values ​​of risk in certain periods of the plant growth. It Provides also a SITS( *Satellite Image Time Series* ) of the the NDVI( *Normalized Difference Vegetation Index* ) at 10 days interval ( *dekad* ). The users can compare statistical data about crops with the satellite images directly on the map and evaluate the influence of meteorological conditions on agricultural production. The Portal provides also an administration interface to allow the administrators to update the information available on the server. They can add crops and agro-meteorological variables to the system, choosing the aggregation method and unit of measure, manage and keep updated the published data or publish the latest NDVI images. They can also process raster images to create statistical data, ready to be ingested in the system or used for different purpose. The architecture for the portal comprises solely of Open Source components: GeoServer is used as the tool for managing and disseminating maps and vector data, MapStore is used as a WebGis, customized with many plugins developed for this application, GeoBatch for advanced raster and vector spatial data processing and publishing automation and eventually OpenSDI Manager, that provides a user friendly interface to manage the whole system. 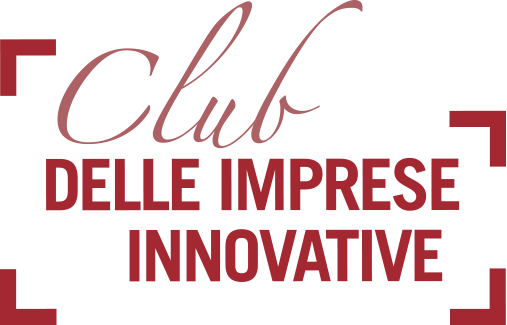 The project aims to bring together in a comprehensive and integrated manner the capability to search, visualize and download the data that the municipality of Florence has released as OpenData supporting the standards mandated by the INSPIRE directive. During 2012 the project aimed to deploy and use the basic building blocks, GeoServer and GeoWebCache for the dissemination of maps and vector data according to OGC WFS and WMS and WMTS procotols, GeoNetwork to disseminated Metadata according to OGC CSW protocols and ISO 19115/10139 Metadata Standards and also MapStore for the integrated visualization of data and metadata. It is worth to mention that GeoNetwork has been customized in order to allow us to disseminate metadata using the Italian RNDT standard as well as to integrate directly with the MapStore front-end in order to provide search-and-view capabilities in a single user interface. In 2013 we are concentrating our efforts towards INSPIRE compliance as well as towards the provision of additional services also for real-time data. If time remains we will also start working towards the integration of the geospatial information we are disseminating with the semantic world to allow semantic search and geolinking. It is particularly important to remark that all this information is managed and visualized taking into account the TIME and ELEVATION dimension (e.g. sliding through the data as time changes is allowed). Let us now briefly introduce the components used for building the infrastructure we deployed as well as the interactions between them. Data is produced or acquired at very short interval (e.g. MeteoSat data is downloaded from EUMETSAT every 15 minutes) and as such we implemented an ingestion system able to run in event-driven fashion ( as soon as new data arrives). We based our development on the GeoBatch Open Source application inside which we created a flow of action for each type of data described above. Each flow is responsible for preprocessing, indexing and publishing for later retrieval of specific type of data. It is worth to point out that some of the actions taken during these flow have been implemented in Python or Octave (e.g. going from raw MeteoSat data to products like Dust or AirMass) in order to allow LaMMa personnel to customize such processing further in the future. We have deployed and slightly customized the Open Source registry GeoNetwork in order to allow users to perform searches within the data ingested into the system for visualization and download purposes. It is worth to point out that the ingestion process is responsible for creating proper metadata (starting from templates that we agreed upon with LaMMa personnel) and ingesting them automatically into GeoNetwork. We have deployed a cluster of instances of the GeoServer Open Source application in order to support visualization and dissemination through standard OGC protocols of the data acquired with support for time and elevation. As per the metadata, the ingestion flows has been configured in order to automatically ingest data into GeoServer without human intervention. We have deployed and customized together with LaMMa personnel the MapStore Open Source WebGis (which is shown in Illustration 49) to act as the front-end for the end users of the infrastructure. It provides the standard capabilities of a WebGIS together with some advanced capabilities like advanced interaction with Mapping Services with time and elevation dimensions. It also provide and integrated, unique interface between search & view capabilities which allow users to perform searches for data and then load some of this data directly on the viewer itself. It is eventually worth to point out that the entire infrastructure has been developed using Open Source components (the Operating Systems is Linux CentOS and the DBMS is PostGIS). We also tried to emphasize on the possibility to evolve the system independently by LaMMa staff both in terms of processing of new data as well as in terms of customizing the front-end further.